CV Performance Group concluded the 2019 edition of the WSK Super Master Series on a positive note with Lorenzo Travisanutto claiming the third step of the podium in the OK class despite a final round in Sarno more difficult than expected for the reigning World champion. 201,Travisanutto Lorenzo (ITA), CV Performance Group (KART REPUBLIC/IAME/BRIDGESTONE), Sarno, 24 March 2019. 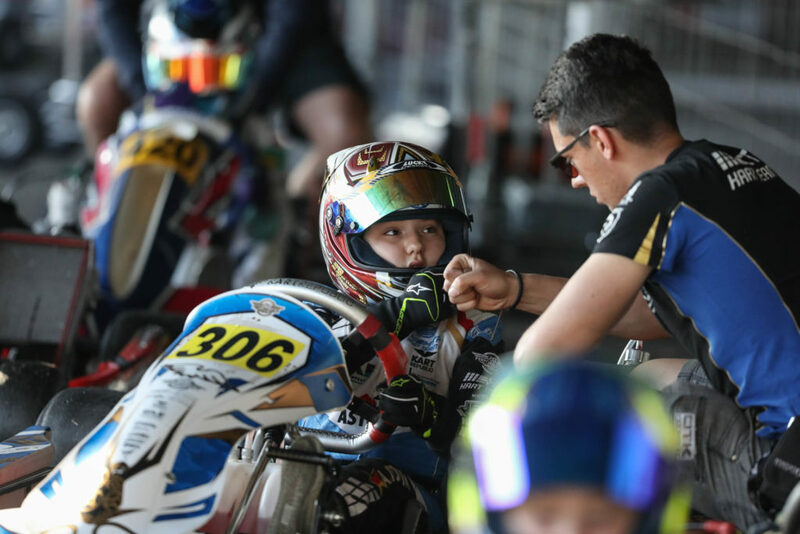 WSK Super Master Series, © 2019, Alexandros Vernardis / The RaceBox. 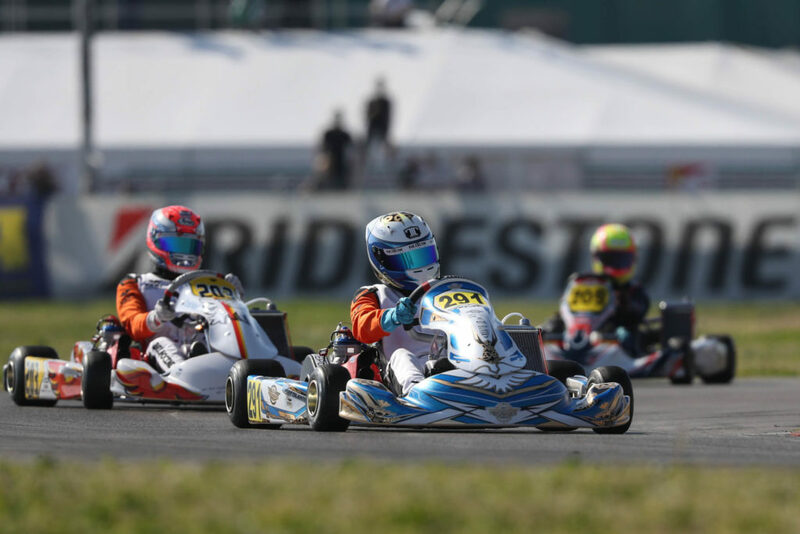 After enthralling races in Adria, Lonato and La Conca, the CV Performance Group completed its journey at the south border of the Italian boot where the closing round of the WSK Super Master Series took place near the glorious city of Naples. In the OK class, the team using Kart Republic chassis continuously batted wheel to wheel for top positions with the series title at sight for Lorenzo Travisanutto. The Italian driver started out his weekend smoothly in Qualifying and in the Heats before putting himself in attack mode for the Prefinal B where he finished second behind Taylor Barnard. Despite starting from fourth in the Final race of the weekend, luck was not on the World Champion’s side when a contact in the opening lap made him lose ground on the leaders. Until the checkered flag was waved 17 laps later, he fought his way up the field to cross the line in sixth place. Unfortunately, this result was not enough to grab the title as he did in the same class back in 2016. 291, Pirttilahti Nikolas (FIN), CV Performance Group (KART REPUBLIC/IAME/BRIDGESTONE), Sarno, 24 March 2019. WSK Super Master Series, © 2019, Alexandros Vernardis / The RaceBox. 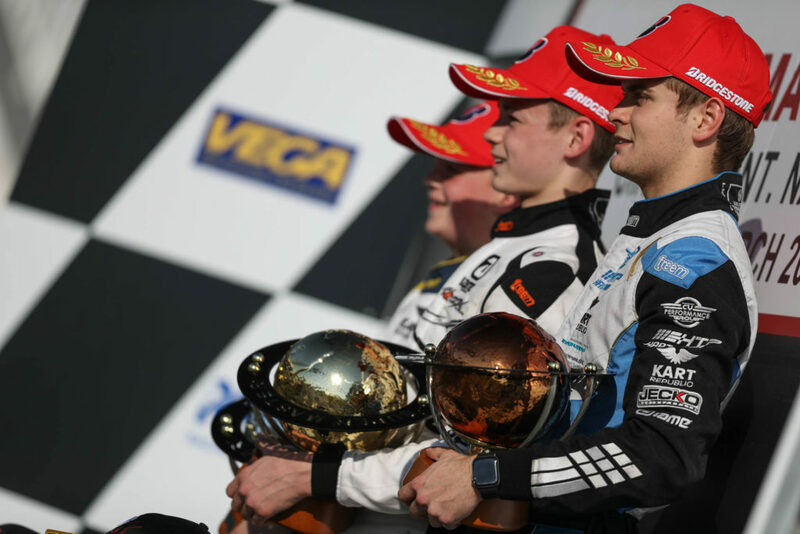 Alongside Travisanutto, Nikolas Pirttilahti disputed his maiden race for the team in Sarno. The Finnish driver got up to speed early on and caught up the attention by putting some fast lap times during the Heats. Classified 13th in the provisional ranking on Saturday, he was placed in the wind shadow of his teammate and caught up likewise in the Prefinal. Setting again the fastest lap in the race, he climbed from 7th to 5th and qualified on the fifth row for the Final that he concluded in the same position (9th). 306, Tohum Arthur (GER), CV Performance Group (KART REPUBLIC/IAME/VEGA), Sarno, 24 March 2019. WSK Super Master Series, © 2019, Alexandros Vernardis / The RaceBox. Continuously on the rise amongst the OK Junior class, Germany’s Arthur Tohum qualified in the top 20 after the Heats with a good chance to access the Final on Sunday. Unfortunately, an accident in the opening laps of the Prefinal A put an early end to his hopes for qualification. There’s no rest for the CV Performance Group already focusing on a busy weekend ahead with not only the kick-off of the WSK Euro Series in Sarno but also the first round of the IAME X30 Euro Series in Mariembourg, Belgium.